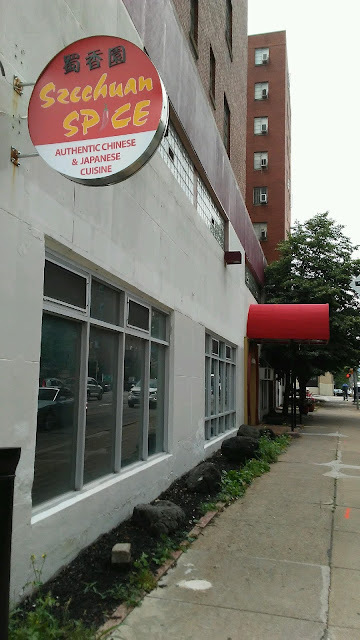 PennsylvAsia: Shadyside's Szechuan Spice looks about ready. The paper is off the windows, the furniture is out, and the lights are on in Szechuan Spice in Shadyside. The restaurant has been under construction at 5700 Centre Ave. (map) since August 2015 in what was until 2011 Jimmy Tsang's Chinese Restaurant. Though a lot of progress has been made recently, there is no word on an official opening date yet.